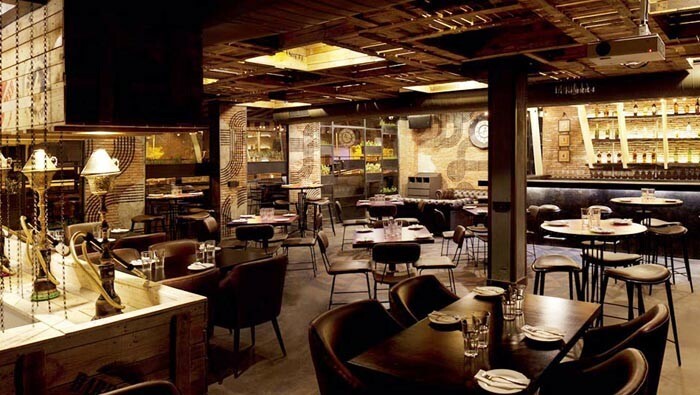 Atmospherics: Bottoms Up encapsulates all that West Delhi stands for, and about time too! Being a Lite Bite Foods project, the promotors could have set up shop in any part of the city, including at the airport. But they decided on Club Road as a befitting venue. Gone are the days when the words ‘West Delhi’ used to be enunciated with a downward curl of the lip. It is where every restaurateur and their uncle come looking for space. High net worth individuals are just the tip of the iceberg; the other variables are adventurous palates where every kind of cuisine works, as long as it is packaged smartly. And Bottoms Up is a hip place whose décor is industrial. On the evening of my visit, everyone seemed to know everyone else and the mood was like that of a club. 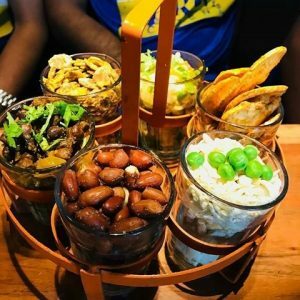 Table Talk: Whatever you do, please do order the most inventive snack on this – or any other – bar menu: 99 buck chakhna platter. 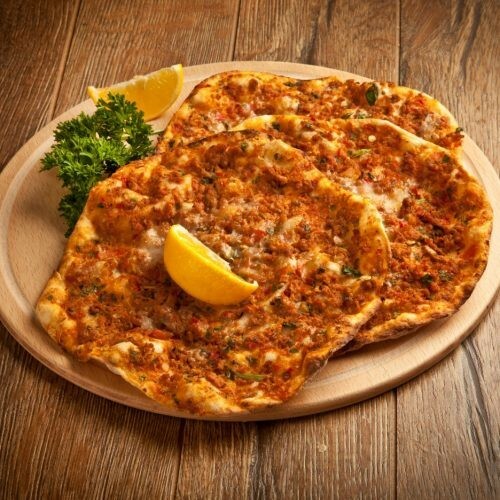 There are six types of tidbits, with varying degrees of sourness, spiciness and crunchiness. Chop corn has bits of bacon in it and masala sev contains achari olives – in my opinion, a great way to eat olives. The menu flits from one country to another, yet so deftly that it avoids being called ‘multi-cuisine’. The other inventive section is the salads in a kadak roomali. This – like everything else on the menu – is meant to be shared, so portions are kept generous. Inside the roomali is the salad of your choice. The word is not meant literally – none of the salads are weight-watchers foods. My butter poached shrimps in Thai vinaigrette (Rs 280) was bursting with flavour and the roomali was the consistency of a papad. Another fun dish is bunny chow, the South African classic that was more or less invented by Indians to circumvent a no-cooking rule in government buildings: bread was hollowed out and curry filled inside, making it a complete meal with a desi touch! My rarhya meat filled bunny chow (Rs 300) had a punch of spicy keema. Plus and minus: You’ve got to love the way North Indian sits casually with Turkish and Thai. The parking situation in this busy market is marginally better than Hauz Khas Village, but only just. Must try: Smoked tomato and mushroom lahmacun (Turkish pizza); air-fryer vegetable crispies; pork belly and black fungus ramen.